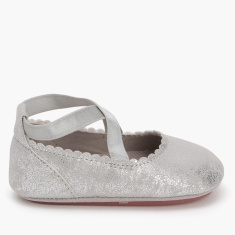 Stylish yet comfortable, this pair of Mary Jane shoes will make your little girl look beautiful. 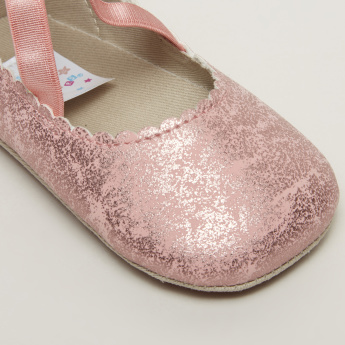 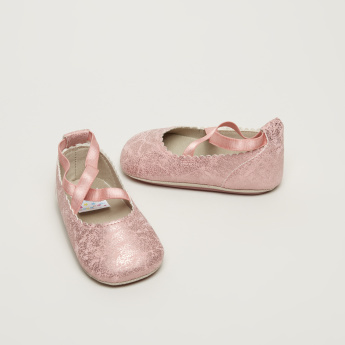 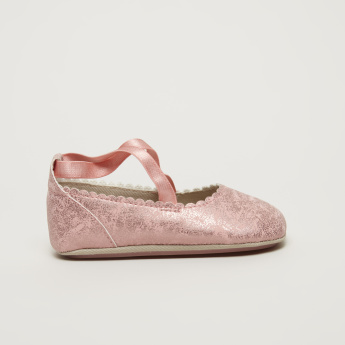 It highlights glitter accents along with an elastic cross strap to keep their tiny feet comfortable. 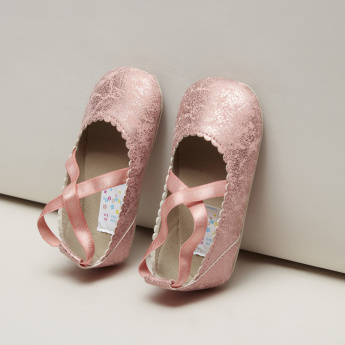 With a rubber outsole, it ensures a firm grip.